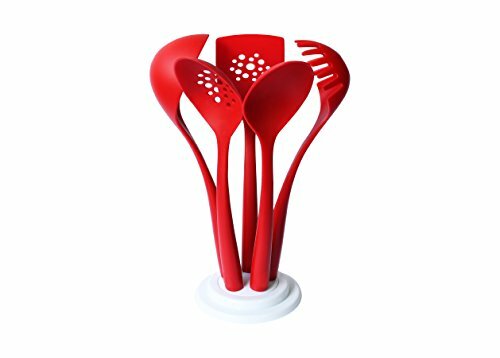 These silicone kitchen utensils set are able to meet most of kitchen needs for your daily cooking, baking etc. Cofunia non stick silicone cooking utensils set is incredibly easy to be cleaned. It can be either hand washed or tossed in the dishwasher. * Size: The sizes are manual measurement, so there may have some little error. 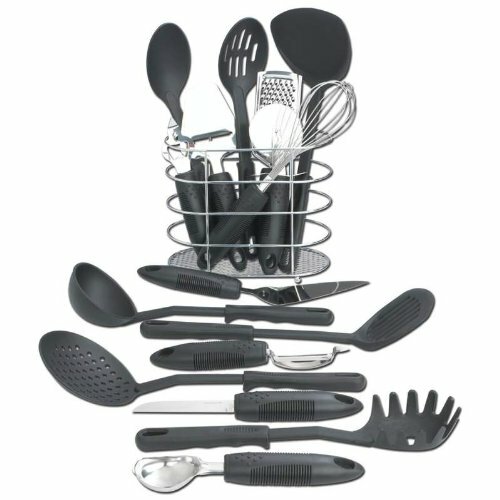 * Each of these utensils has a hanging loop for easy storage. * Suitable for microwave, oven, dishwasher, steamers, and it can be boiled in water disinfection, BBQ. further ensuring they stand the test of time. or produce any hazardous fumes. Unlike some metals which may corrode when exposed to certain acids in food. It does not react negatively to exposure to extremes of temperature. Won’t damage plastic kitchen utensils set —soft silicone won’t scratch your expensive non stick kitchen utensils, pots and pans. Won’t chip, warp or melt like your old plastic and bamboo kitchen utensils. Excellent customer service—If you’re not satisfied with your purchase of these silocon kitchen cooking utensils set, please contact with us and you’ll be offered a refund or replacement.